If you are looking for the best quality spices online for the recipes you plan to try out the coming weekend, log on to keralaspicesonline.com and order the freshest spices you can ever get. They source their spices directly from the spice farmers from the spice growing regions of Kerala. It means that you can get the best price on the freshest product that has not been kept in storage for long after harvesting. We add spices to our food for their taste and piquancy. Little do we think of the benefits they have to our health. Over the years, new research findings are informing us of the benefits of cloves, nutmeg, pepper, turmeric and other spices that we use every day in while cooking. The ingredients in many of the spices are found to help reduce stress, prevent diseases, improve sleep and have antiseptic and anti-bacterial properties. There are dishes that need that extra zing, especially if it is a heavy meat preparation. Then the best way to make it taste heavenly is to add a dash of black pepper 10 bold. Black pepper 10 bold denotes the finest in pepper. It is the most premium quality you can access. Naturally, you can imagine the flavor and taste that even a small pinch of this superior spice will give to your dish. Good food and festivals always go together. So when a festival season is fast approaching, you know that there is always going to be needed for fresh spices to make all the special dishes and curries you have planned for the holiday season. You are looking forward to great cooking and you know spices are going to be vital for making your dishes taste their best. At such times, it is best to buy the best spices directly from the spice growing regions of Kerala through www.keralaspicesonline.com. Cardamom, (Scientific Name: Elettaria cardamomum (Linn.) 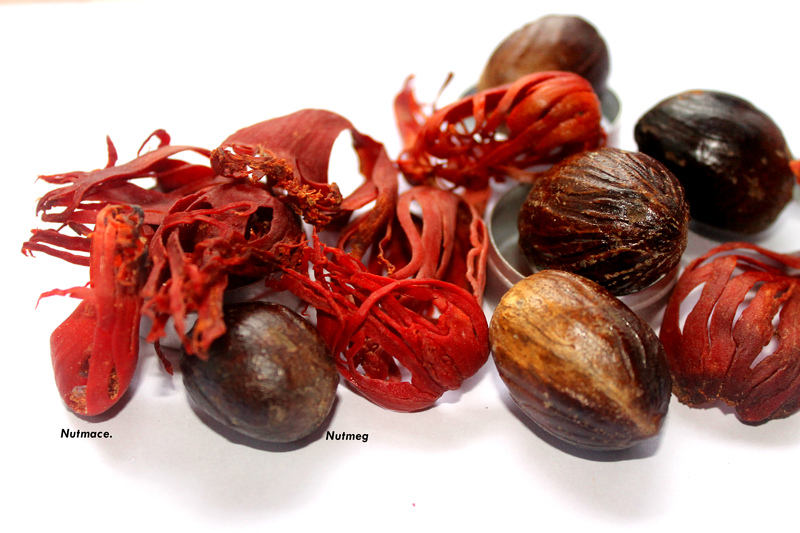 and family: Zingiberaceae) popularly known as the “Queen of Spices” and is one of the most expensive spices in the world, due to its delicate aroma. In India, Kerala accounts for 60 % of the cultivation and production followed by Karnataka 30% and Tamil Nadu 105%. Common varieties are ICRI-1, ICRI-2, Mudigree-1, PV-1, SKP-14 etc. Nuts are God’s gift to mankind. They are rich in nutrients and are delicious. They enhance every cooking and they are loved by everyone including kids. Of all the nuts, Almonds are amongst the most loved. What most people don’t know are the major health benefits of consuming nuts on a regular basis. Almonds or ‘badam’, as it is called generally across India, is great for enhancing the taste of milk, for kids. The cashew nuts that are slow roasted and hand processed in Kerala are believed to be the best in quality and the tastiest ever. However today, much of the process is taken over by semi-automated machines. Even then, the best cashews that can be enjoyed with relish are from Kerala. Indian cooking is never complete without red chilly powder. It is that pinch of spice that gives Indian curries its fiery tinge. Chilly powder is used in a whole lot of dishes – both vegetarian and non-vegetarian. It is used in gravies, omelets, sautéed vegetables and a whole lot more. Most Indian homes have a ready stock of cardamom powder. But to have a ready stock is not an easy task if you have to buy the best cardamom and grind it to make the cardamom powder. Also, you have to grind it in small stocks that can last you for a couple of months. Cardamom powder that is kept for long loses its oil content and becomes flat in taste. After years of cooking and making food for family and sometimes treating guests and friends, many people find that that is falling into a pattern. They find that they are repeatedly making their favorite recipes that have won accolades from all who tasted it. Maybe it is time to change the pattern a bit if you are one such people. One simple way to bring about a sea change in your cooking pattern is to choose a new set of recipes.